Back when I purchased The Ordinary Serum Foundation I also picked up a few other products from the brand. One of those products is The Ordinary High-Adherence Silicone Primer. I always seem to run out of primer at the worst possible time. I thought it would be nice to have a different one to use as backup. That’s really the only reason I purchased it. 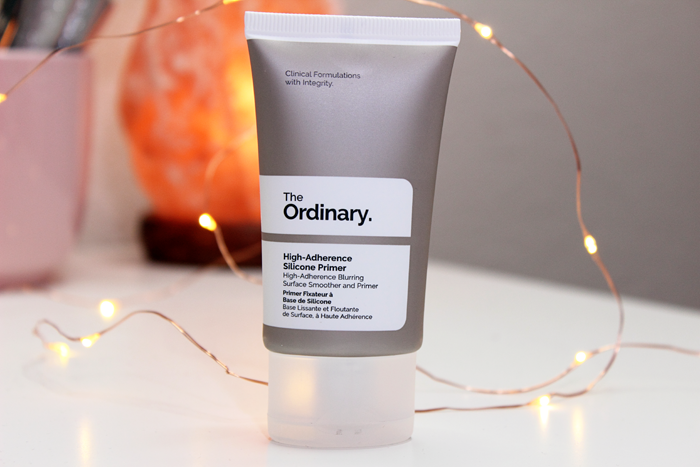 The Ordinary High-Adherence Silicone Primer is described as a mattifying and blurring primer with advanced adaptive silicones which help makeup adhere to the skin. It claims to blur imperfections, help makeup last longer, all while leaving your skin with a matte finish. I didn’t detect much of a scent. It was in fact non-greasy. I had read that another blogger had great results when she pat the primer into her skin. Ever since that’s how I’ve been applying my primer. I’ve never experienced any issues using this method of application. 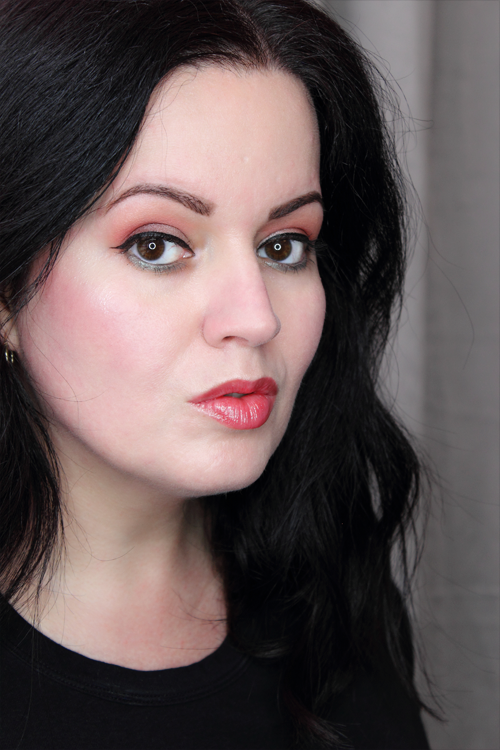 The primer evened out my skin nicely and my makeup applied beautifully. I actually really love the way my makeup looks when I use this primer. 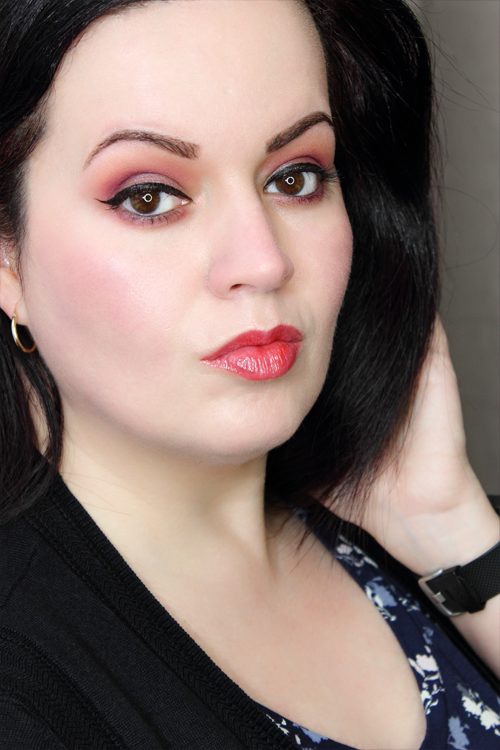 I think it does a pretty great job at evening out my skin for a more airbrushed effect. Now that I’m working I can say that it holds up pretty well for a typical work day. By the time I get home my makeup is still going strong. Overall, I’d have to say this primer is a keeper! I really only purchased it to have on hand in case I ran out of my go-to primers. I didn’t expect to love it so much that I’d add it to my rotation. As for the other products I purchased? I wasn’t really a fan. Truth be told I wasn’t exactly sold on this primer at fist either. Thankfully I really got the chance to put it to the test once I started working. And now it’s one of my favorite primers. Have you tried anything from The Ordinary? What are your favorite products? I feel like every time I review a foundation I mention how I don’t have many in rotation. It’s true though. I usually find what works and stick with it. Sometimes I’ll hear about a new and exciting foundation and will run out to get it only to be left disappointed. Due to my very sensitive and very picky skin, foundation is more miss than hit for me. So when I find a good one I just stick with it. However, sometimes I just can’t help myself. So when everyone started talking about The Ordinary Serum Foundation I just had to try it for myself. It took me a while to get my hands on this foundation. Actually, it took me a while to get my hands on any of The Ordinary products. They always seem to be out of stock on the very few websites that carry the products. Probably due to the super low price. I finally got lucky and saw that my shade was in stock. I hate buying new foundation online because I never know what shade I’m going to need. 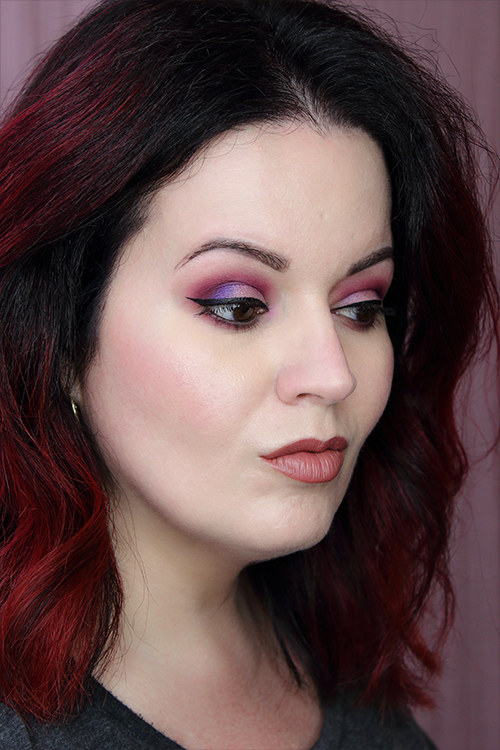 I ended up using Temptalia’s Foundation Matrix and got a fairly decent match. 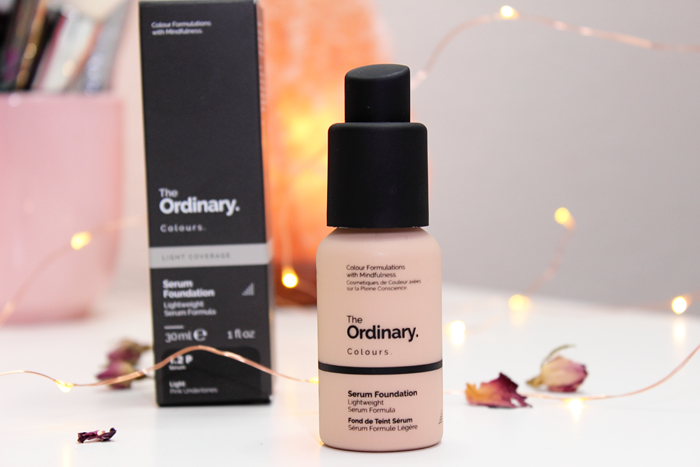 The Ordinary Serum Foundation is a medium coverage foundation with the lightweight feel of a serum. It offers buildable, natural looking coverage with a semi-matte finish. It’s oil free and cruelty free. It comes in a nice looking plastic bottle with a pump. The pump can be a bit tricky to operate. It doesn’t always dispense the right amount. Most of my other pumps can easily pump out a bit without making a mess. It’s very difficult getting just a bit to pump out. And sometimes it’ll just spurt out making a bit of a mess. Not sure if it’s a thing or maybe I just got a faulty pump. But I figured it was worth mentioning. I went with the shade 1.2P which is suitable for light skin with pink undertones. I’d like to note that Temptalia’s Foundation Matrix suggested 2.0P, but after looking at swatches I felt that might be a tad too dark for me since it’s Winter and I haven’t seen the sun in months. 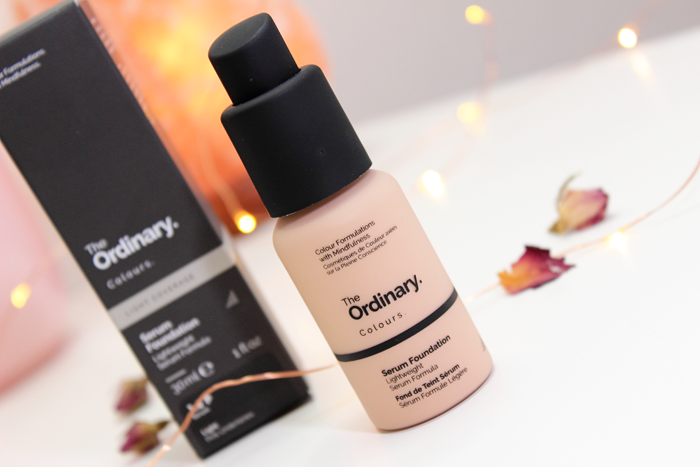 I posted swatches of The Ordinary Serum Foundation in the shade 1.2P alongside a few of the other foundations I use in rotation. This isn’t all of them, but it’s the few I reach for the most. As you can tell it’s a little watery, but not overly so. I did my usual routine of moisturizer, primer, etc. I applied it with my BeautyBlender. It applied and blended nicely. It did a great job at covering up all of my redness. Aside from the redness I don’t have much that needs to be covered up so I can’t comment on how well it does at covering imperfections. I was pleasantly surprised at how well it evened out my redness though. It built up nicely. I didn’t detect a scent. And it truly does feel lightweight! It held up pretty good throughout the day. After about 4-5 hours I could see it start to break up around my nose a bit. But none of the redness was poking through and my cheeks can get very rosy. By the time I went to wash it off it was still looking pretty good. 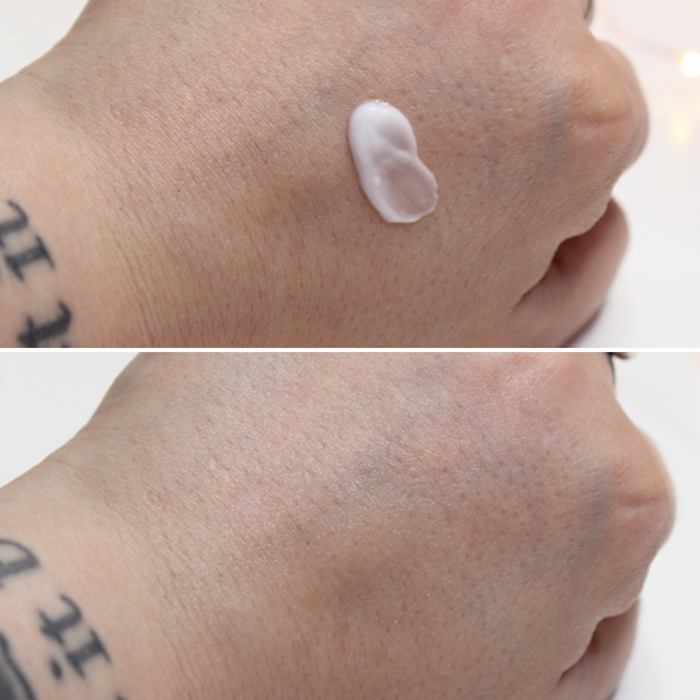 You can see The Ordinary Serum Foundation in action below. 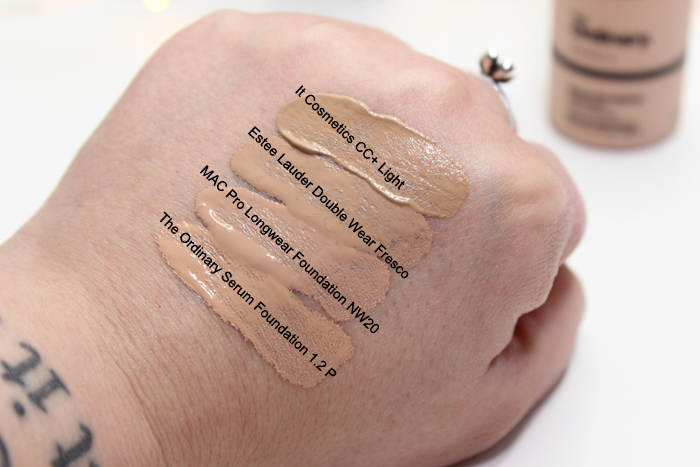 Overall, I’d have to say that this is a great foundation. It did a great job at evening out my redness and it didn’t irritate my sensitive skin. It’s not the most lasting foundation, but it holds up surprisingly well. I’d say this is a great going out foundation. Not so sure I’d say it was a great 9-5 foundation. I’d definitely opt for something more long lasting for those of you who work or have oily skin. But seeing as how I wear makeup to run a few errands, daily coffee runs and the occasional shopping trip, it’s perfect for me. I’ll definitely be adding this to the rotation. Have you tried anything from The Ordinary? What foundation are you loving right now?